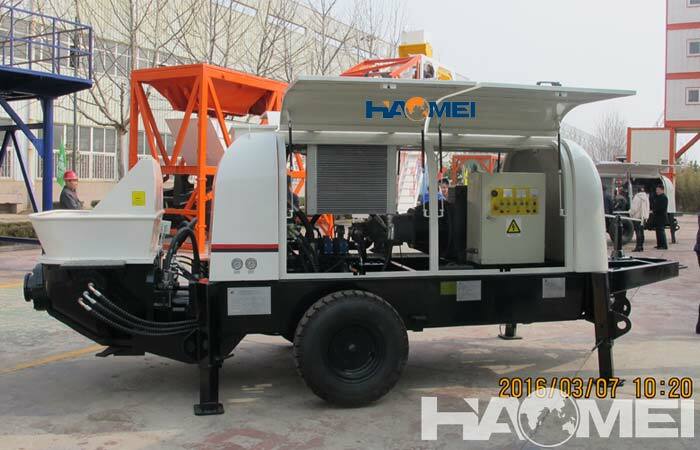 Trailer pump concrete is trailer concrete pump which is used to pumping concrete in some distance or height to the construction site. 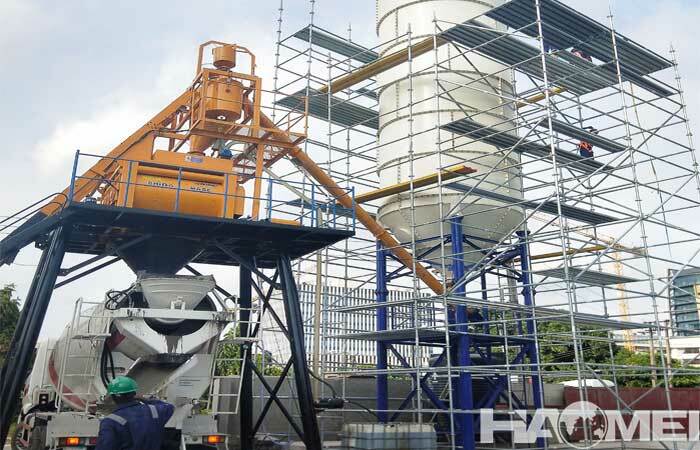 As the pumping concrete has big aggregate much bigger than cement, thus, the pumping can be limited by the aggregate size. Only qualified trailer concrete pump can pumping the concrete smoother with less blocking. 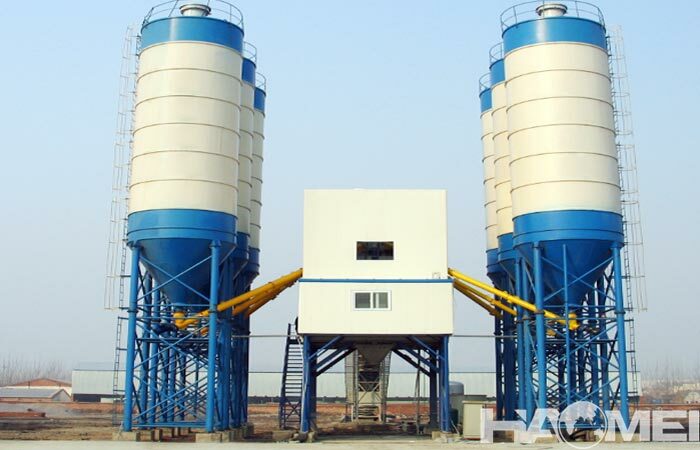 To help more friends know the relation ship between trailer pump concrete and the aggregate size, we summarize two main aspects in this relationship. 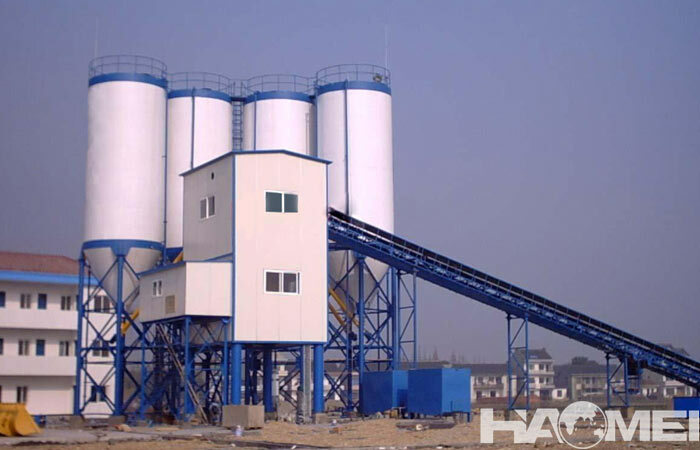 When the pumping height is more than 100m, it should be between 1:4 and 1:5, and the content of the needle-shaped aggregates should not be more than 10%. 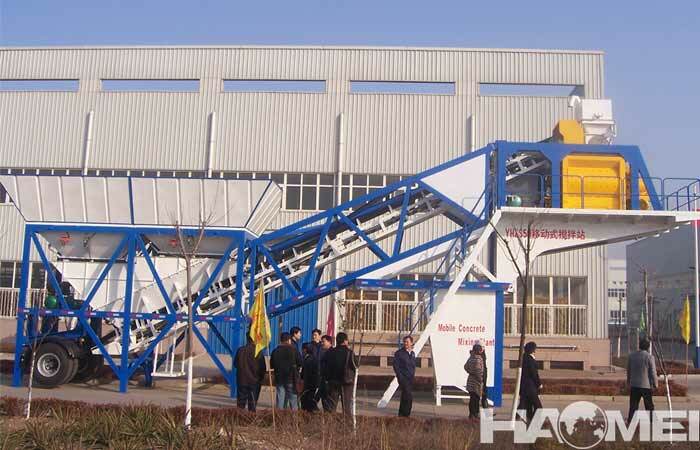 The maximum aggregate size of the trailer pump concrete is limited by the minimum diameter of the conveying pipeline. The maximum diameter of the pebble should be less than 1/3; the maximum size of the crushed stone should be less than 1/4, allowing a small amount of super diameter aggregate to be mixed in. 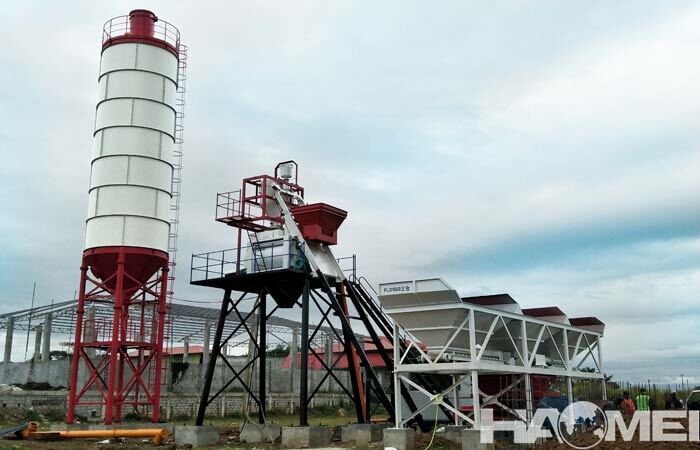 For example, in a 125 mm diameter delivery pipe, a small amount of aggregates up to 60 mm diameter may be passed, but the proportion of such super-diameter aggregates must not exceed 2%, and they must be dispersed.